« Visiting a Fast Food Restaurant? The Choice is Yours – Make it Healthy! Thanks for a very timely article. Not everyone enjoys the Holidays so much and we need to be understanding of that! Very good point, Liz! 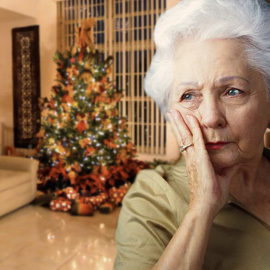 Unfortunately, holidays can be stressful and depressing for many people. I hope those who are feeling “blue” are able to experience some happy moments in the next few weeks. All my best to you, your family and friends!